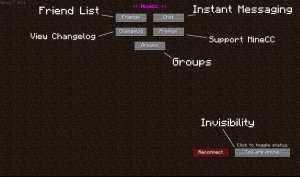 Are you getting sick of using external messengers to communicate with friends in Minecraft? If you’re like me, you like to play fullscreen, and switching back to your desktop isn’t really an option if you’re just sending a quick message to a friend. 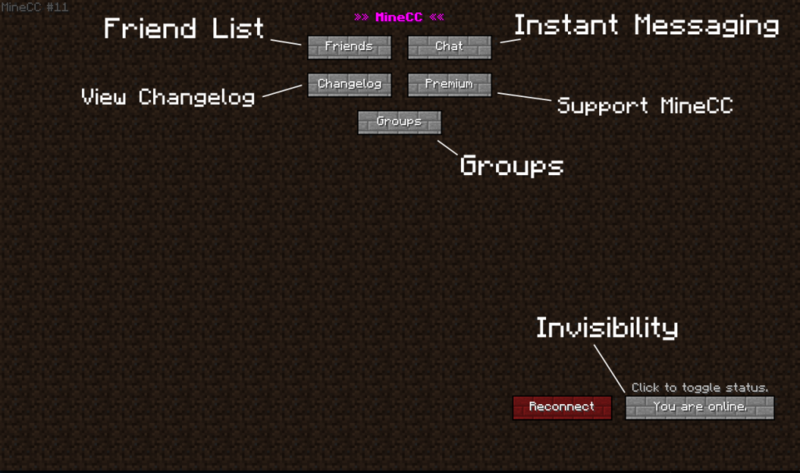 MineCC is an instant messaging mod for Minecraft developed by Alexmack929 which eliminates the need for extra software! 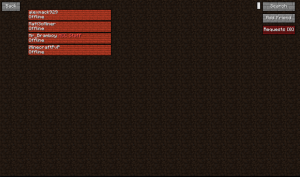 Pressing F4 again closes the screen. 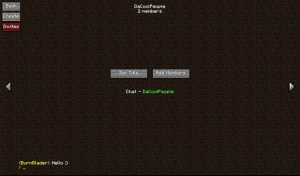 From here, you can access the friends list, chat list, history of changes in the mod, list of premium features, any groups you are a part of, change your visibility status, or reconnect to the mod if necessary. 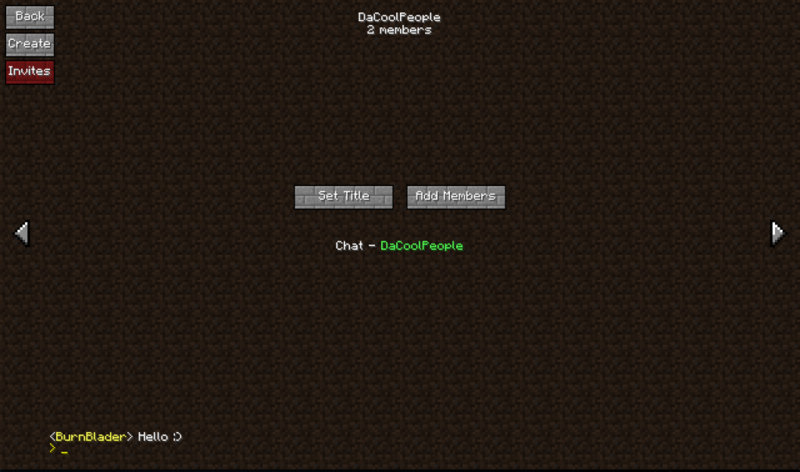 Premium subscriptions allow users to color their name and chat within the mod, as well as join the chat server when it is full. MineCC isn’t free to run, so if you find this mod useful, consider donating! This last functionality is what truly makes MineCC shine, in my opinion. It provides channel-like capabilities similar to those found in most large MMOs, greatly facilitating community interaction. 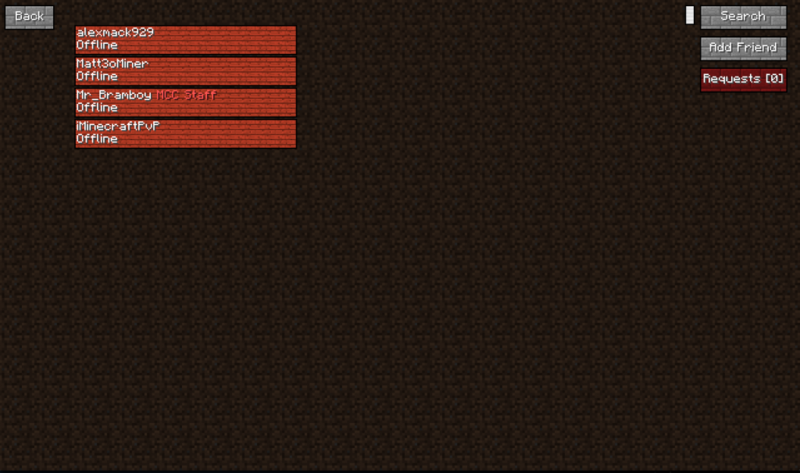 Installing this mod is a bit more complicated than Forge or Bukkit mods. It is best illustrated in this video by MbdeltaPC – while it is a bit outdated and uses Optifine as an example, the steps and procedures are still the same. Download the latest version of MineCC here and follow the instructions in the video above. 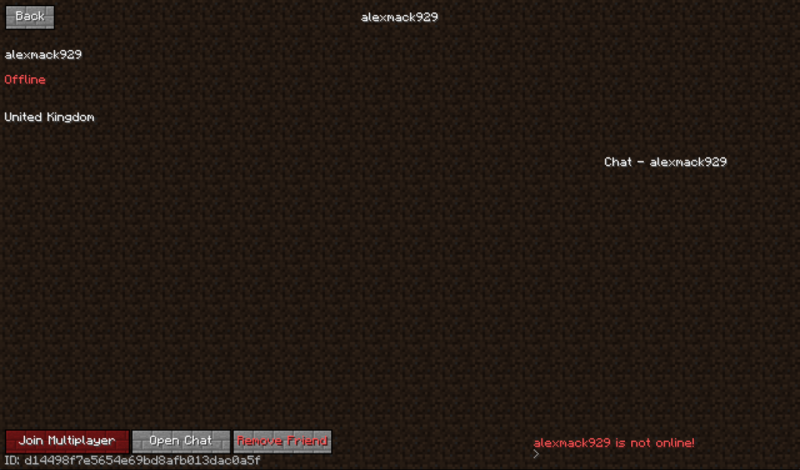 Alexmack929 has indicated that this mod will be updated regularly – what features would you like to see added to MineCC? 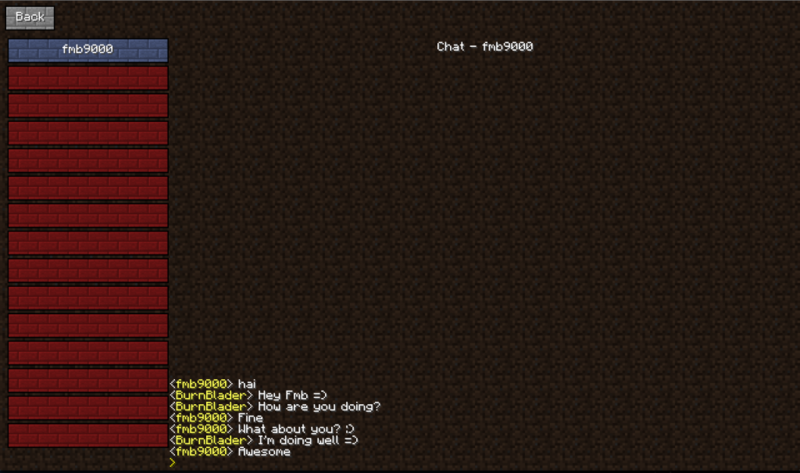 Personally, I would like to see an option for command-based chat (for example, /friendslist to display all friends and their online status). Leave your ideas in the comments below!